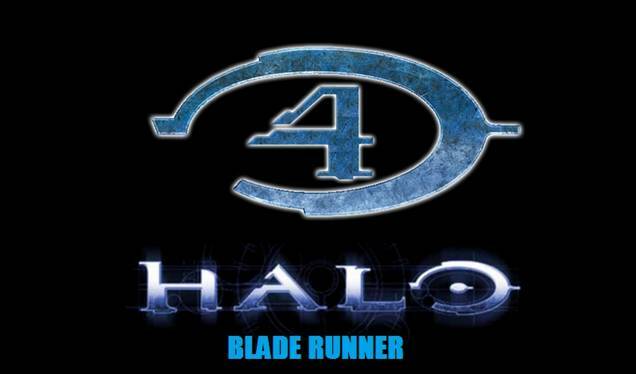 Yesterday (depending on where you are in the world) Microsoft showed off it's new addition to the Halo franchise, Halo 4. Unlike the others in the series, this time around Halo will be produced by 343 Industries, Microsoft's very own studio and I think it shows in the game play trailer. The trailer shows Master Chief watching the UNSC's battle ship crash land on a planet after coming through a wormhole, what are the odds? Master Chief has just been chilling on a planet where some massively old non-synthetic race is (presumably the race that created the Halo Rings) chilling out. Cool.....................Really? Ok, well then.........HEY! At least the gameplay looks cool. Oh and not to mention, the AI Cortana goes beserk. I can only assume that she will end up controlling the ancients and make them all hostiles. So, blade Runner, never thought they would make a Blade Runner game. Why not just name it HALO4: BLADE RUNNER. Ok, so it was androids and not AI's, but what is the best Cortana gets a body and starts blasting the crap out of stuff? I wish I could be excited, but this just feels like "oh, you didn't need to show Cortana going crazy, guys. You should have left it as a surprise". bah halo, seriously couldnt care less. that game is shite! As much as I gave up on the story, I used to like the multiplayer. The I played CoD.